As everyone has been mentioning lately, Google Reader will soon go the way of the Dodo bird. Why, exactly, I could not say. I am being my usual stubborn self and continue to use Google Reader to keep up with all of the blogs I love, even though I have transferred everything over to Bloglovin. I am in the process of acclimating to the new format, although I am still upset about the change. Oh well, I will get over it. I keep reading about all this but havnt really got a clue! What happens when Google reader goes. Will I lose all the blogs II follow, will I lose all my followers. That would be a real shame! I'd better look into this more closely.! I can sympathize! I have used Google Reader for years. :( I have gotten Bloglovin and Feedly accounts, but haven't really tried using them yet. I will hold onto Reader until the last possible second, lol! 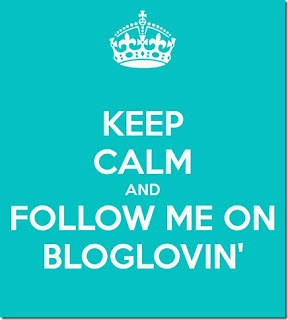 I adore Bloglovin' with an unending passion. After years of struggling to find a feed reader (be it online or desktop based) that I felt like I could really jive with, I started using Bloglovin' in early 2012 and have never looked back. I hope to high heaven that it sticks around until the end of time, because I'd feel lost on the blog feed front with out it.